The Fendt Rollector round balers are equipped with different systems for picking up and delivering bales, but have one thing in common: They place the bales smoothly onto the wrapping table, without affecting their shape. Delivery onto the ground is also extremely gentle, and therefore prevents damage to the plastic. 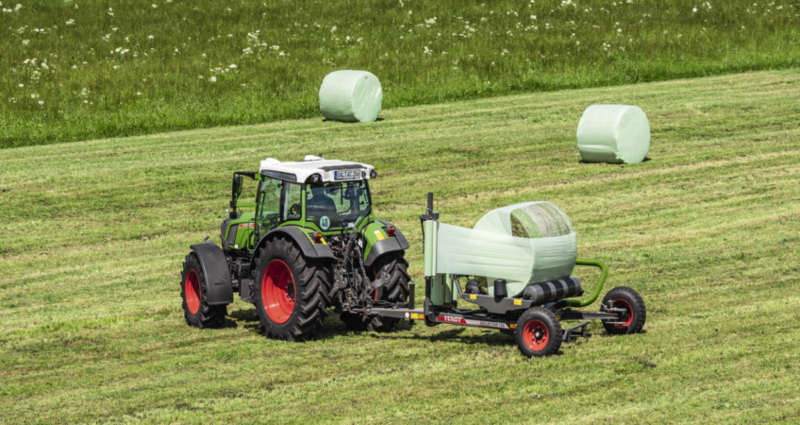 The Fendt Rollector can be used to transport two bales at the same time depending on configuration, with one bale on the wrapping table and on the loader beam. You can adjust the number of plastic film layers yourself according to the forage material and required storage time. The wrapping table automatically sets the required number of turns and ensures that the plastic overlaps properly. An acoustic signal shows the operator that the wrapping process is complete.